Intourist iour operator has launched a reservation of package tours to Bahrain. The product with flights on the basis of regular transportation is available from Moscow, St. Petersburg, Kazan, Krasnodar and Samara. So, Intourist continues to expand its range of tours to the Middle East, offering alternatives to the UAE. Following Qatar, which was opened in September, the tour operator has formed a proposal for Bahrain. The cost of holidays in Bahrain is comparable to the price of a trip to the United Arab Emirates, Qatar or Oman. 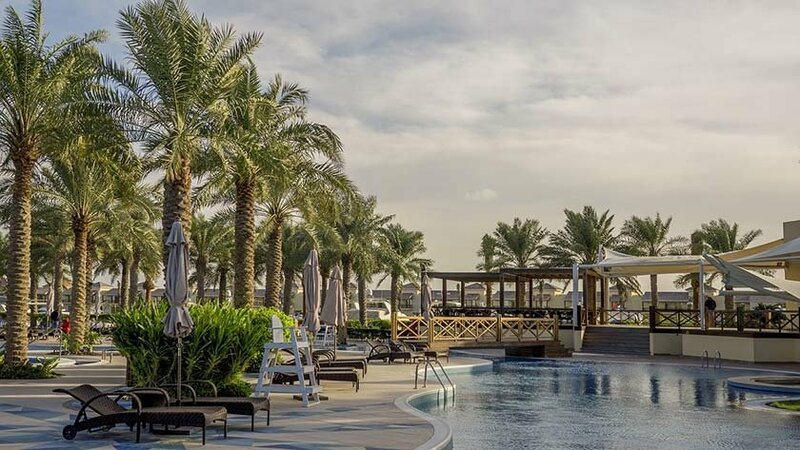 The best time to travel to Bahrain is from October to May; in summer it is very hot in this country, however, booking of tours is also available for the summer period. Despite the fact that Bahrain is a Muslim country, alcohol is allowed in this country and there are no strict requirements for clothing. In Bahrain, at tourist places bars and hotels offer alcohol freely. Another plus of Bahrain is the simplified entry for citizens of the Russian Federation: visa is issued upon arrival at the airport. This season Intourist offers mainly a beach holiday in Bahrain: the duration of the tours is from 3 to 28 days. The tours with flight by regular flights and ground service are included into package. Transportation from Moscow is provided daily mainly by scheduled flights of Gulf Air, from regions — by S7 airline. In addition, it is possible to make flights with connections by Emirates, Qatar Airways, Etihad Airways and Turkish Airlines. The transportation by Gulf Air is carried out with the tour operator’s tariffs. Programs to Bahrain with departure from Moscow, St. Petersburg, Kazan, Krasnodar and Samara will start from November 19. Without taking into account the cost of the flight, a week-long rest for two persons in Manama with accommodation at a 4* hotel on BB basis will cost from $ 675. With a flight from Moscow, the cost of a weekly tour to Bahrain will be from 770 dollars per person. The range of the tour operator in Bahrain includes more than 30 hotels of 4* and 5*. When booking a tour, you can immediately book excursions, such as desert safaris or sightseeing tours across Bahrain. Taking into account the wishes of the retail agents, the tour operator is planning a series of marketing activities with the new product, including seminars and advertising support of the destination.